Do you constantly search for a fitness center that has every convenience you could want? It's all here, with the programs, equipment, services and amenities for a total fitness experience. American Family Fitness offers all the services and amenities you need to become healthier and more fit. You'll find cardio and strength training equipment, group fitness classes, and numerous training options, Do you like to workout in the water? Our gym in Virginia Center Commons offers indoor pools, swimming lessons, aquatic fitness, and more. We also provide lifesaving Red Cross classes and certifications in CPR/AED, lifeguarding and babysitting. Do you need to unwind? We'll help you do that, too, with mind/body classes like yoga and Pilates, and a dry sauna for relaxation. Our gym offers secure locker rooms, onsite childcare, a café, a basketball court -- all the amenities you need to get fit and reach those health and wellness goals. We're open 24 hours each weeknight. Are you always pushing for the best cardio? At our Glen Allen gym, we’re ready and waiting for you. 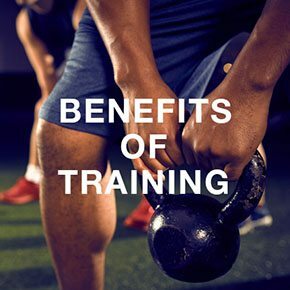 Cardio training increases your heart rate, amps up your metabolism, burns fat, and protects you from chronic illnesses such as diabetes and heart disease. With our array of equipment, you’ll reach your goals and more. Do you feel unprepared for strength training? 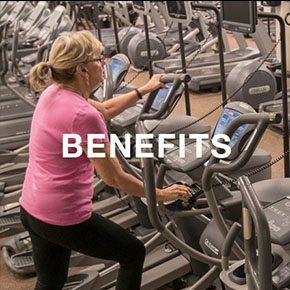 At our fitness center in Glen Allen, you’ll find top-of-the-line machines to help you achieve results. Strength training tones and sculpts, protects joints, and burns fat. Who knew? Start on your path to fitness today. Personal trainers can help you find your way. Do you have difficulty squeezing in time to exercise? At American Family Fitness we offer the KidZone, a place where you can drop off your kids while you can get some time to workout. 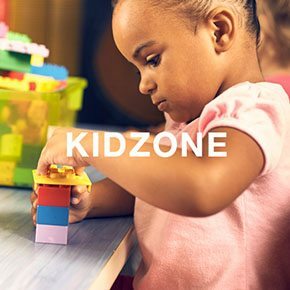 At the KidZone your youngsters will have access to a variety of age-specific classes and play areas, so leave them with us while you workout.